I love the texture of this recipe: the guacamole is creamy and smooth, while the fried tortilla shell lends the perfect amount of crunch. No dipping needed. Okay, so the name could use a little tweeking, but the recipe is spot on. Feliz Cinco de Mayo. 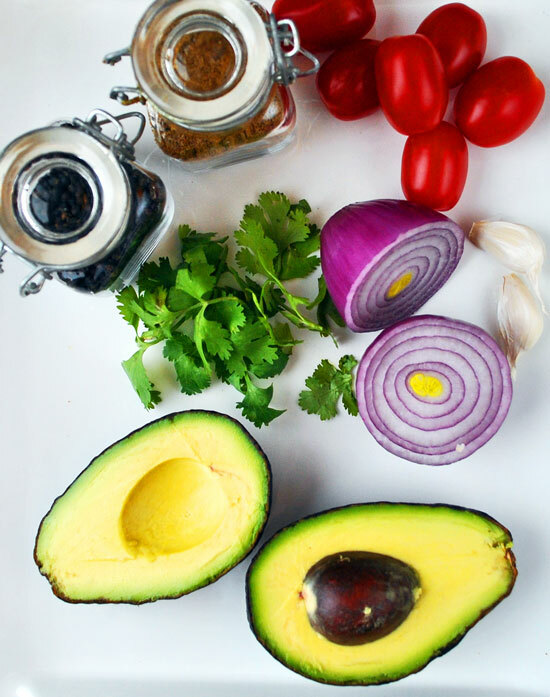 Carefully cut the avocado in half, length wise, and pit the core. Using a spoon, scoop out the avocado, and dice neatly. 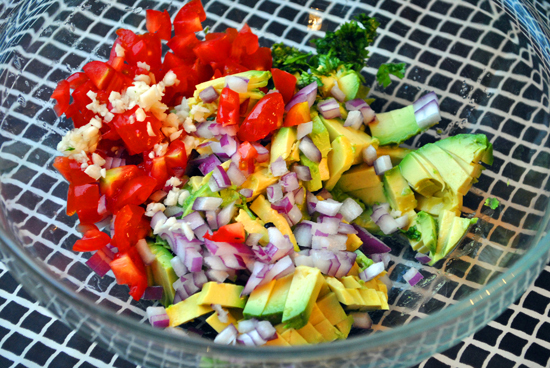 In a medium-size bowl, fold all the ingredients together. I like my guacamole to be slightly chunky—stir to the consistency you prefer. 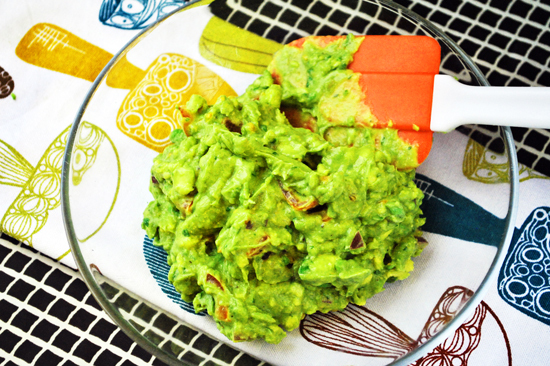 Place 1 tbsp of guacamole in the center of a flour tortilla, fold the outer edges in, and tightly roll. Secure the tortilla rolls with toothpicks. 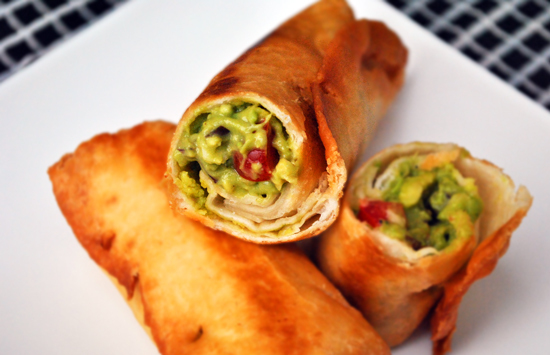 Fry the tortilla-guacamole rolls for 90 seconds on each side, or until golden brown. Carefully remove the rolls from the oil, and allow to cool slightly on a paper towel lined cookie sheet. Serve alongside sour cream, and pico de gallo. If you’re not feeling the whole roll-making process, take the easy way out and serve with tortilla chips. These were home-made by cutting a tortilla into 8thsand deep fried at 350′f until golden brown. That’s it, you’re done. Here’s Happy (looking slightly unhappy)– this photo is a result of his persistence and indignation. I love cats and I think I might be in love with your cat! It seems everyone is getting on board food-wise for Cinco de Mayo this Thursday. I am starting to wonder if I will have any luck finding an avocado when I go grocery shopping tomorrow!!! I like the idea of adding cardamom. They do look Duhlicious!!! :0 I’m thinking taco night just took another turn for the good!!!!! Looks fantastic! Your cat definitely isn’t looking very amused. Heavenly! I’m pretty sure if I made these my husband would steal them all. What an interesting twist.A must make! 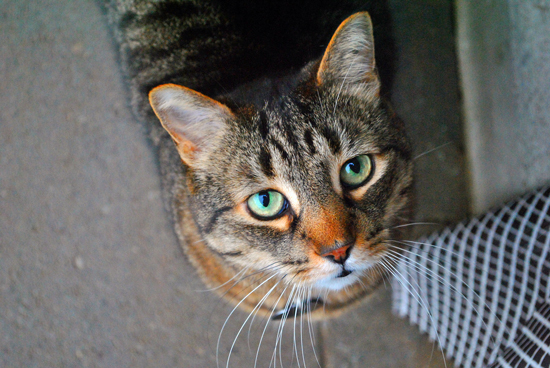 Ottawa’s Real Foodie – Happy is quite the character; always demands attention when I’m short of time. He was trying way to hard this time around, so I thought I owed it to him. I like the cardamom too– it adds a hint of citrus, and makes the dish taste fresh. Good luck finding avocados. Tanja – Deepfrying stuff changes everything. This application would taste amazing with traditional taco filling. Mmmm, you got the cog wheels turning and thinking of new ideas. Briarrose – My dad, who HATES (scratch that, replace with hated) avocados, ate everything. He even called me this morning to make sure I tell everyone to make them, because he thought they were outstanding. Jessica – That’s what happends when you throw old wisdom out the window, and start playing with food. OMG these sound heavenly! Love the idea of the combo of crunchy outer with smooth creamy inner! I might try smearing a little chipotle en adobe sauce on the tortillas before the guacamole to add a kick! Thank you so much for this recipe! Mine didn’t turn out as pretty as yours, but it was still a huge success! oooooooooo, i loved both the rolls and the triangles both. they surely are out of this world. Perfect for appetizers! I am definitely going to try them at my next dinner! Can’t wait to try this out! I shared your recipe on my Must Try Tuesday post…. 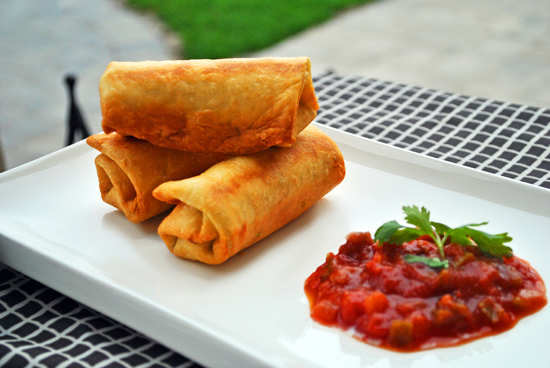 I love taco rolls & this recipe looks great! She Is just starting out her blog, would love to hear feedback & het followers so she continues to do blogs! Check her out! I’ve been searching all through my google reader for this recipe. So glad I found it! I actually just need the guac part, but I *really wanted this recipe again. I’m writing it down now! excellent issues altogether, you simply gained a logo new reader. What would you suggest about your put up that you made a few days in the past? Any sure?